Laser’s Edge-signed modern/progressive rock act DISTRICT 97 has announced a new batch of live dates which consume most of February, including newly-secured North American tour supporting Pain Of Salvation. 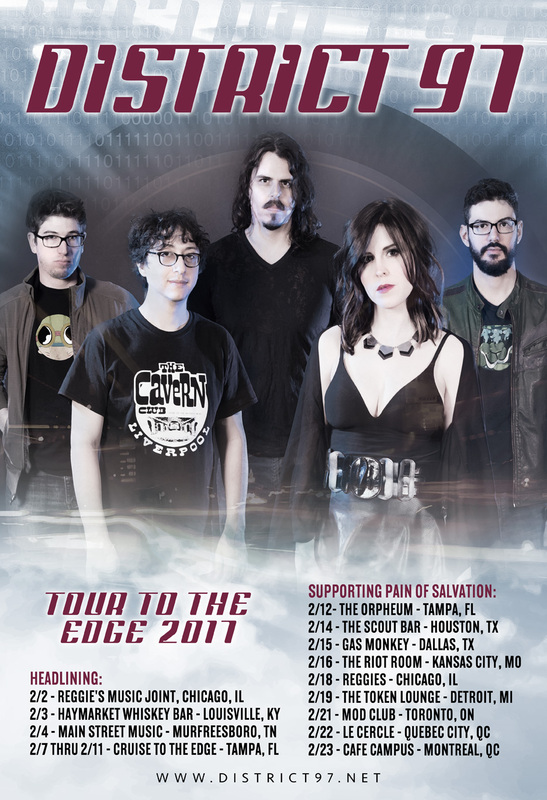 DISTRICT 97 begins their new tour with Tour To The Edge, a run of headlining shows beginning February 2nd where they’ll be playing Chicago, Louisville, and Murfreesboro on their way to Tampa. There they’ll take part in the Cruise To The Edge, which sails to Cozumel, Mexico and back, and sees the band joining Yes, Kansas, Steve Hackett, Mike Portnoy, Spock’s Beard, Haken, and many others on the cruise. Immediately following the headlining shows, DISTRICT 97 will connect with Pain Of Salvation to support the band on their North American tour from February 12th through 23rdh, which sees them playing Tampa, Houston, Dallas, Kansas City, Chicago, Detroit, Toronto, Quebec, and Montreal. Additional dates are being confirmed now so stand by and check http://www.district97.net for updates. DISTRICT 97 has also recently launched a monthly subscription service called the Inside The Vault Club [enter HERE]. For a low monthly or yearly fee, all club members receive exclusive audio and/or video from the band on the 15th of each month. Premium members will receive an exclusive DVD or CD each year, the first of which being the Live At De Boerderij 2016 DVD due in Spring 2017. Check out the IVC promo video for a preview of the DVD and for more info on the club HERE. Delivering over an hour of DISTRICT 97’s energetic progressive, alternative, metal, pop crossover, the immaculately produced In Vaults shows this young, diversified rock outfit in their most impressive form yet. In Vaults boasts the band’s evocative and powerful songwriting and musical deliverance, as well as a searing performance from American Idol Top 10 Female Finalist, Leslie Hunt. 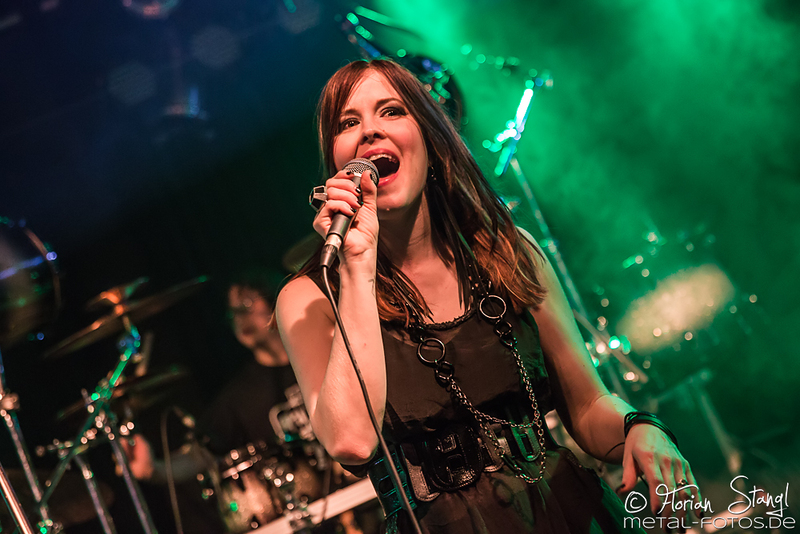 The album was recorded at IV Lab Studios in Chicago, engineered by Chris Harden with additional engineering by Shane Hendrickson, mixed by Jeff Fox and Rich Mouser (Spock’s Beard, Transatlantic) at The Mouse House Studio, mastered by Grammy winning engineer Bob Katz, and dons stunning imagery by Björn Gooßes of Killustraitions. In Vaults is available for streaming and download in 24-bit/96khz high quality audio RIGHT HERE, the CD version is available HERE and the standard digital HERE.